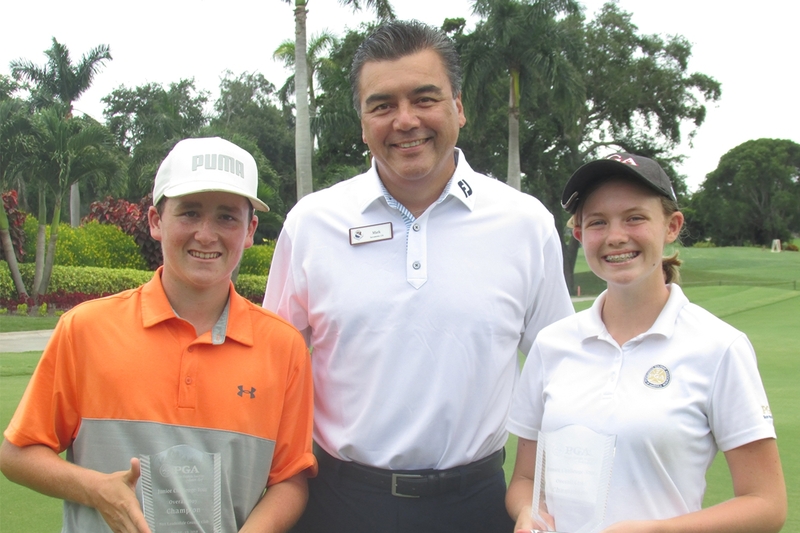 July 19th 2018 - ATLANTIS, Fla. – This week, the South Florida PGA Junior Challenge Tour presented by The Honda Classic held Challenge Tour Event #6 on the South Course at Fort Lauderdale Country Club. Warm conditions made the event a grind for the 72 player field. Stephen Weisman of Jupiter, FL opened up round one with a 1-over par 73 to put himself tied atop the leaderboard with TJ Boros of Pompano Beach, FL. Weisman put together a final round 1-over-par 73 to capture his first South Florida PGA Challenge Tour Victory. McLean Morton of Jupiter, FL took home the boys’ 13-15 age division after rounds of 78-72. TJ Boros took home the boys’ 16-18 age division after rounds of 73-76. Kelly Shanahan captured her third straight Challenge Tour victory this week. Shanahan fired rounds of 76-71 to take home the Overall Girls’ Division by six strokes. Angelica Holman of Fort Pierce, FL took home the girls’ 13-15 age division after rounds of 76-81. Allison Dusek of Fort Lauderdale took home the girls’ 16-18 age division after rounds of 80-73. Jackson Langer of Coral Gables, FL took home the boys’ 11-12 age division after rounds of 76-77. Aiden Arce of Davie, FL and Eric Nguyen of Pembroke Pines, FL finished tied for second place with a tournament total 158. Sara Davey of Fort Lauderdale, FL took home the girls’ 11-12 age division, while Pearl Jenkins would finish in second place.